Drug-induced psychosis is a common and usually temporary mental health symptom. Psychosis is a disconnection from reality that may cause false beliefs called delusions, or false sensory experiences called hallucinations. Psychosis may appear while a person is using drugs or as part of the drug withdrawal process. The psychotic symptoms associated with drug use can be intense and tend to come on more suddenly and aggressively than psychosis associated with a mental health diagnosis such as schizophrenia. It can be challenging to distinguish drug-induced psychosis from other forms of psychosis. This is because many people with diagnoses that cause psychosis may also use drugs. A 2009 study found that 5.2% to 100% of users of amphetamine, cannabis, cocaine, and opioids experienced psychosis. More frequent users and those with more serious drug dependencies were more likely to experience psychosis. Many drugs, especially hallucinogens such as LSD, cause hallucinations and delusions. Drug-induced psychosis is a more severe form of these hallucinations. It may appear suddenly in a drug user who has never before experienced psychosis, or it can steadily get worse over time. Psychosis can also occur during drug withdrawal, especially in users with a long history of abuse and dependence. Any drug that changes brain chemistry, including drugs that don’t typically cause hallucinations as part of the “high,” can cause psychosis. This includes prescription and over-the-counter drugs as well as illicit drugs. Even widely used drugs such as non-steroidal anti-inflammatory drugs can sometimes trigger a psychotic reaction. Hallucinations. A person might see, smell, or hear things that aren’t there. Delusions. A person may adopt demonstrably false beliefs, such as that a demon is pursuing them. Dangerous behavior. A person might attempt to fly, harm themselves because a voice told them to do so, or become a danger to others. Some people who experience psychosis become aggressive. Disconnection from other people or from reality. A person may appear catatonic or totally withdrawn. It appears while under the influence of or withdrawing from a drug. It is typically more intense than other forms of psychosis. After the psychosis has passed, treatment may center around helping the person recover from drug abuse and dependency. Some people experience mixed psychosis. This is when a person has a condition that causes psychosis, such as schizophrenia, and then develops psychotic symptoms from drug use. It can be difficult to treat this form of psychosis, and doctors may struggle to determine which symptoms are due to drugs and which are due to an underlying mental health condition. People with an underlying condition that can cause psychosis may be more likely to experience drug-related psychosis. Drug-induced psychosis typically only lasts until the drug has cleared from the body. So heavy drug users may experience longer lasting symptoms because there is more of the drug in their body. In most cases, the psychosis lasts less than a day. When amphetamines, PCP, or cocaine trigger psychosis, symptoms may last longer—sometimes for several weeks. Long-lasting psychosis may also be due to an underlying mental health condition, such as schizophrenia or bipolar. Rarely, drugs can change the brain by damaging neurons or altering neurotransmitter levels. This may cause mental health diagnoses such as bipolar or schizophrenia. The mechanism through which drugs cause mental health disorders linked to psychosis is poorly understood. Moreover, because many people with mental health diagnoses use drugs, it is difficult for researchers to assess which mental health conditions merely appear following drug use and which are the result of drug use. Treatment for drug-induced psychosis usually involves stopping the drug that caused the psychosis and then monitoring the person in a safe and calm environment. Anti-anxiety drugs such as benzodiazepines can help with many symptoms of drug-induced psychosis. Antipsychotics can also help, especially when dopamine-stimulating drugs such as amphetamines trigger a psychotic episode. Safety is the most important factor to consider when someone is experiencing a drug induced psychosis. We need to assess the person’s risk: What are they seeing, hearing, or experiencing? Are they going to hurt themselves? Is there any health risk like elevated heart rate or seizure? Who can stay with them until the effects of the drug have passed? Validate how scared the individual may be and let him or her know that this is unlikely to be a permanent state. While it may feel real to them, it is not actually happening. Once the drug clears their system, they usually go back to normal functioning. After the psychosis has passed, treatment centers around helping the person recover from drug abuse and dependency. Inpatient addiction treatment, support groups, therapy, medication for underlying mental health conditions, and a supportive drug-free environment can help a person quit using drugs and avoid future episodes of drug-induced psychosis. 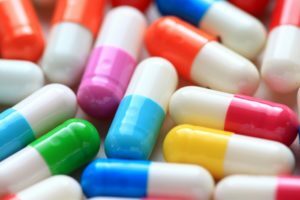 When prescription drugs cause drug-induced psychosis, it’s important to find an alternative medication—especially when the drug in question manages a serious medical condition such as a cardiovascular disorder. People with a history of drug-induced psychosis should tell doctors and pharmacists about their history, since one psychotic episode could mean a person is at risk of having future episodes. For many, drug-induced psychosis is a short-term state. It can be frightening, and it may even harm relationships, especially if a person makes rash decisions or becomes abusive because of psychosis. Therapy can help people repair the damage of drug-induced psychosis. The right therapist can also help a person talk through the issues that led to their drug use. For example, a person might use amphetamines to cope with the low motivation of depression or rely on cocaine to numb the pain of trauma. Therapy can also help people overcome drug addictions and find healthier coping mechanisms. Occasionally, drug-induced psychosis signals a serious underlying psychotic disorder, such as schizophrenia. When psychotic symptoms don’t disappear within a day or two, it’s important to see a psychiatrist or neurologist who can assess a patient for mental health conditions, neurological disorders, and other diagnoses that may lead to psychosis. Management of these conditions usually means a combination of medication, lifestyle changes, and therapy. In therapy, a person may learn to interrogate their delusions and hallucinations, ground themselves in reality, and cope with any relationship and career challenges of living with psychosis.